One of the things that strikes people who encounter the Orthodox Church for the first time is that we have a very strong emphasis on history. It’s everywhere in Orthodoxy. We constantly talk about saints and councils and heroes of ages past. Our walls are covered with images of these people and events. Our services are filled with references to so many people who are long gone and places that are the stuff of historical legend, and we constantly recite and quote texts that are centuries upon centuries old. 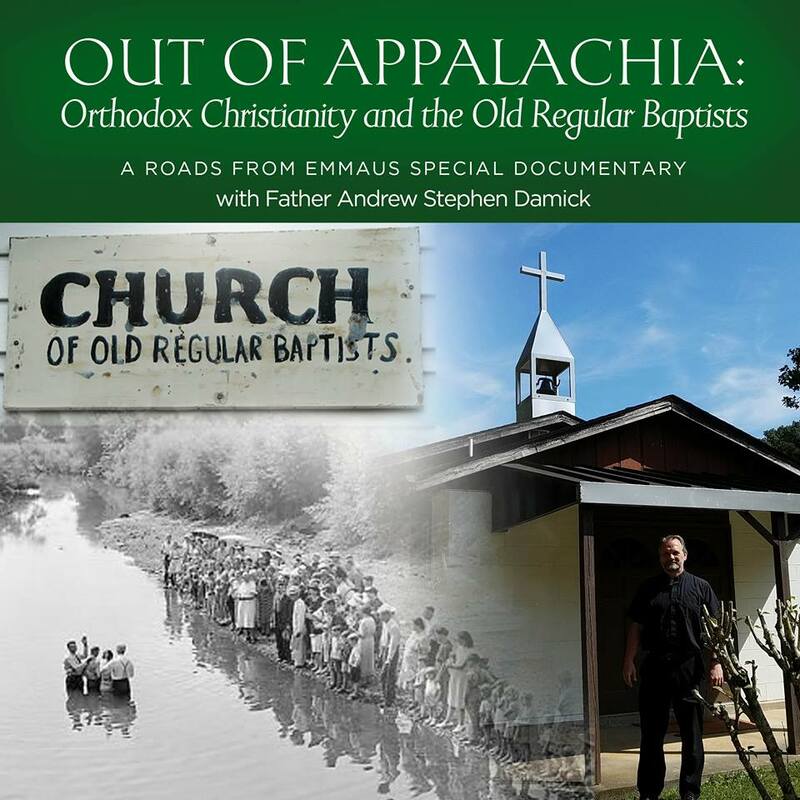 Some other churches emphasize history, but none of them come close to Orthodoxy’s emphasis on it. This is a historical church. This is the historical Church. And you would never, ever, not in a million years ever see phrases like “non-traditional service” or “contemporary service” on a sign out in front of an Orthodox church. We’re about history. If you lose the history, you lose Orthodoxy. 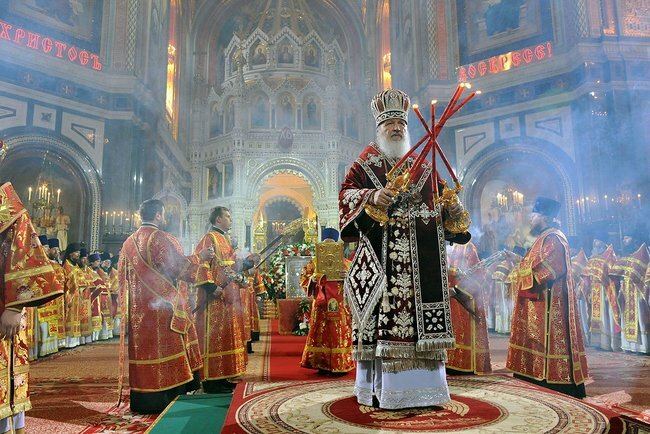 An ahistorical church just isn’t an Orthodox church. It is utterly integral to our identity. But why is this? Is the Orthodox Church just a spiritualized book club for history nerds? What’s the deal with all this history? Do people who don’t like history or don’t care about history have a place in the Orthodox Church? Let’s explore these questions for the next few minutes. Today, the Sunday before the feast of the Nativity of our Lord, God and Savior Jesus Christ, which in this year also happens to be the eve of that feast, is the Sunday on which we read the genealogy of Jesus Christ that is found in the Gospel according to Matthew. It is the very beginning of that Gospel text. And the genealogy there is given through Joseph, the betrothed of the Virgin Mary and the foster-father of Jesus. It is Jesus’ legal genealogy of inheritance. In other words, Matthew’s Gospel begins with a very historical kind of beginning. It is a big list of names of historical people, and this gives us a clue as to why history is so critical for the Christian. The epistle reading also speaks of history. In that case, it talks about the heroes of the Old Testament, Abraham and those who came after him, and the amazing things they did in their dedication to God. Again, we have historical people in historical events, and they are presented to us today as part of our preparation for the feast of the Nativity. These are just two passages, if we take any time at all, we can find all sorts of accounts in the Scripture that emphasize history. It’s not just historical accounts of people and events there in the Bible. We also have self-conscious looks back at history by those writing the Biblical texts. In other words, while the Bible contains history, it also contains people talking about history. It is self-consciously historiographical. And so because the Bible is the key source text for Christian self-identity and doctrine, that means that history is key to what it means to be Christian and to teach Christianity. Which history is it that’s being talked about in the Gospel reading? It is the history of the family of Jesus. It’s His legal genealogy through Joseph, of course, but because Joseph and the Virgin Mary from whom the Lord is biologically descended were from the same Hebrew tribe and both descendants of King David, they shared a lot of the same ancestry. So this is the history of Jesus whichever way you look at it. This is His human history. One of the most powerful things that we as human beings can realize is that there are people before us and that there will be people after us. Jesus of course knows this, being God, but it’s worth noting that He Himself has people that came before Him, humanly speaking. He steps into a lineage. He steps into a family. And He steps into history. This is a critical insight. The Son of God becomes part of history. If He were merely some spiritual or religious leader who started a religious movement, that would not be so remarkable. But He is much more—He is God. And God doesn’t have a history. God is outside history. God is uncreated. History is the story of created things. God isn’t historical. He is eternal. But with the Incarnation, when the Son of God became the Son of Mary, God now has a history. He has a mother. He has grandparents. He has a foster-father. He has cousins. He becomes historical. And then, now being part of history, He begins to participate in history. He is born. He grows. He develops, humanly speaking, growing in wisdom and stature. And then at 30 years of age, He is baptized. He preaches. He heals. And finally, He suffers, dies, rises from the dead, and ascends into Heaven and sits at the right hand of God. The Christian faith is founded on belief in these very specific historical events. This is not a myth in the sense of being a story whose “inner spiritual message” is more important than its concrete details. As Christians, we insist on the concrete. We insist on this history. It is not mere history, of course. This isn’t just the story of a man. This is the story of the God-man. And when the God-man steps into history, it looks to us like a new character is being introduced into a pre-existing story. But if we go deeper, and if we know something about that pre-existing story, then what we realize is that the Incarnation isn’t just God coming personally into history. It is also and in a much greater way history coming into God. I often like to talk about this in terms of this feast we are about to celebrate. This world has a problem with Christmas. We have a public Christmas that is not really about Jesus. And so we say that Jesus needs to be put back into Christmas, because Jesus is part of the story of Christmas. And that idea fits very much with our human understanding of God stepping into history. But if we look at this with more enlightened eyes, seeing this not just from a human point of view but from a divine point of view, then we will see that Jesus is not part of the story of Christmas. Christmas is part of the story of Jesus. And on a greater level, we also see that Jesus Christ did not just come into the context of history. What happened is that history came into the context of Jesus Christ. History now means Jesus. History now is part of the larger plan and purpose of God. History speaks of Him everywhere. History reveals Him everywhere. History matters to the Church not because we like accumulating stories and traditions. History matters to the Church not because it is the purview of hobbyists and nerds who happen to like history. History matters to the Church because it is an ongoing revelation of Jesus Christ. It is the story of the conquering King Who has been born, lived, died, rose and ascended so that He might rescue a fallen people and a fallen creation. 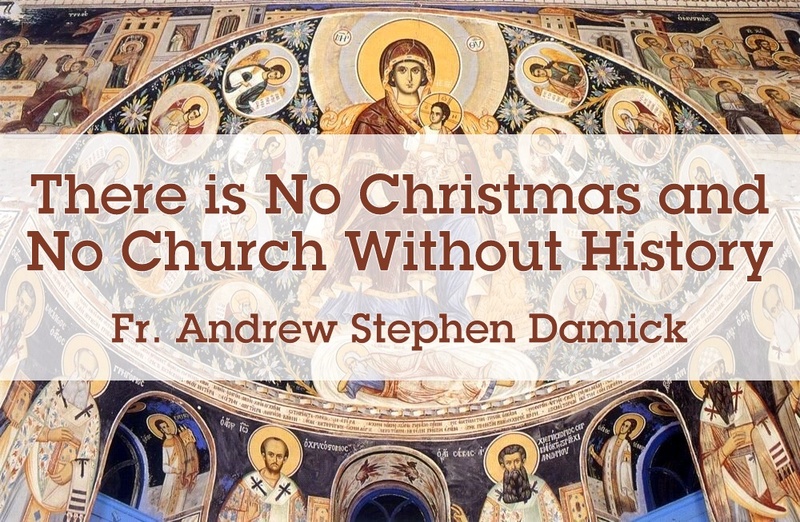 And that is why Orthodoxy is the historical Church. There is no Church without history. To the God-man Who truly was born and became one of us be all glory, honor and worship, with His Father and the Holy Spirit, now and ever, and unto ages of ages. Amen.